Judd Zebersky - Chief Executive Officer, Jazwares, Inc. Professor Stephen Urice, a preeminent legal authority in art and museum law, is the Director for the Arts Law track. He is a co-author of the standard art law casebook Law, Ethics and the Visual Arts. He has served as counsel and acting director of the Frederick Weisman Art Foundation in Los Angeles and served as director of Philadelphia’s Rosenbach Museum & Library. He directed the national culture program at The Pew Charitable Trusts before returning full-time to teaching and writing. Director Harold A. Flegelman, Lecturer in Law and Director of the Entertainment Law track, was a partner in the Corporate Department and Co-Chair of the Corporate Media and Entertainment Practice Group. While in private practice, he was engaged principally in advising clients in all legal and business aspects of the entertainment and media industries, including mergers and acquisitions, strategic alliances, venture capital, debt and equity financings, restructurings, business planning, executive employment arrangements and general corporate representation. Peter Carfagna is Director of the Sports Law Track and is Chairman/CEO of Magis, LLC, a privately owned sports marketing, management and investment company, including family ownership of the Lake County Captains, Cleveland Indians Class A Affiliate. 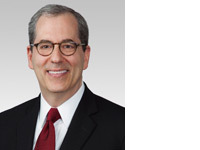 He also served as Chief Legal Officer & General Counsel of International Management Group (IMG) and before that was Senior Partner at Jones Day LLP where he worked as outside counsel to the Cleveland Browns and Cleveland Cavaliers’ ownership groups. Professor Jan Paulsson is currently an arbitrator of the Court of Arbitration for Sport of 25 years standing and has decided some 55 disputes involving international athletes, teams, and organizations. He has also served as lead counsel for the International Olympic Committee in 18 international disputes brought against it, from 2002 to 2008. Professor Lili Levi teaches copyright law and international copyright law, defamation and privacy law; and prior thereto, was Broadcast Counsel at CBS, Inc. Her scholarship focuses on media and communications law. Professor Laurence Rose, director of Miami Law's Litigation Skills Program, advises the Sports Law track. He served as an Assistant Athletic Director at the University of Kansas and as an advisor to the University of Miami Athletic Department, as well as a Principal in SportsMasters, a Sports Law consultant to universities, coaches and athletic personnel in matters before the NCAA. Dean and Professor of Law Patricia White served as tax advisor to the Economic Study Committee of Major League Baseball, and advises for the Sports Law track of the program. She has also served on the NCAA Compliance Committee for the University of Utah. Charles Baker - is Co-Chair of O’Melveny’s Sports Industry Group. Chuck's corporate practice encompasses mergers and acquisitions, private equity, and venture capital transactions, with a core focus in the sports, media and consumer sectors. Michael Cheah – General Counsel of Vimeo, one of the premiere video-sharing websites. Responsible for leading the company’s public policy and legal compliance efforts. 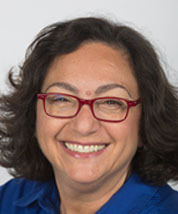 Ana Francois - Faculty member at University of Miami School of Communication, Francois specializes in media management issues such as startups, rights management and valuations. Mansour Ghomeshi - IP expert and VP and General Counsel at 360fly; previously lead IP counsel at Motorola and teaches course on Intellectual Property, Transactions and Negotiations. Vivek Jayaram - Intellectual property expert with years of experience handling complex IP and general business disputes for U.S. companies in state and federal courts and for several foreign businesses. Oliver Luck - is the NCAA’s first executive vice president of regulatory affairs and oversees all NCAA regulatory functions – enforcement, academic and membership affairs, and the eligibility center. 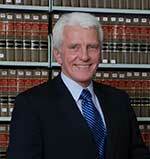 Michael Kelly - Practiced anti-trust law for 30 years and teaches in the areas of Antitrust Law and Sports Law. Nicholas La Terza – Partner with The Point Media law firm in Los Angeles, specializing in representing entertainment companies and creative talent in all areas of television, motion picture, publishing and new media. Michael Olsen - Senior Vice President for Business Development at IndieBlu Music. Hernán Pantaleón - Over 20 years' experience in art, entertainment, mergers & acquisitions, banking and finance; teaches courses on Legal Aspects of TV Production in Latin America and Doing Business in Latin America. Irwin Raij - partner in O'Melveny's Entertainment, Sports & Media Practice Group and Co-Chair of the Sports Industry Group. Raij has extensive experience throughout the sports industry, representing buyers and sellers of professional sports teams, guiding stadium development projects, and negotiating licensing, advertising, and media rights agreements. Henry W. Root - partner at Lapidus, Root & Sachrow, LLP with 30+ years of legal and business affairs experience in the entertainment, music, television and media industries. Jose Sariego - International corporate and entertainment lawyer with more than 25 years experience, was SVP– Business & Legal Affairs for Telemundo Media; previously SVP at HBO Latin America. Adam J. Schlatner - Attorney at Cozen O-Connor who co-teaches course on Representing the Professional Sports Franchise; expert in complex commercial litigation. Steven ​Silton – Partner at Cozen O’Connor LLP in Minneapolis. Represents sports leagues, franchises, club owners and athletes. Christine J. Vincent - Project Director for The Aspen Institute's Artist-Endowed Foundations Initiative who advises private foundations and nonprofits and educational institutions. Jaime Vining – Teaches Trademark and Advanced Trademark Law, and named a “rising Star” by Florida’s Super Lawyer Magazine since 2009. Harold A. Flegelman is the Director of the Program and a Lecturer in Law. He has joined Miami Law from the Los Angeles office of Loeb & Loeb LLP, where he was a partner in the Corporate Department and Co-Chair of the Corporate Media and Entertainment Practice Group. The firm's motion picture, television, music and sports practices are regularly recognized by U.S. News & World Report as placing it among the "Best Law Firms." Peter Carfagna is Director of the Sports Law Track. Greg Levy is Deputy Director, Entertainment, Arts and Sports Law LL.M. Program. Professor Stephen Urice, is Director for the Arts Law track.